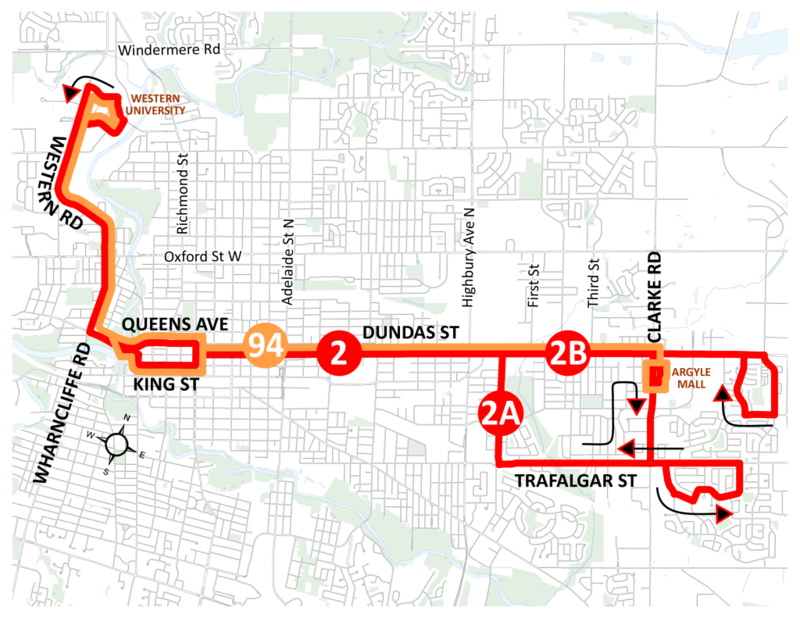 Route 94 is a proposed weekday peak only express route that would operate on the Route 2 corridor between Western University and Argyle Mall. The Route would operate at a 26 minute frequency from 7-10am and at a 23-minute frequency from 1 to 6 pm. Route 2’s frequency would be reduced from 10 minutes to 15 minutes between 7am and 10am and between 1pm and 6pm. The common corridor frequency would increase during both peak time periods.